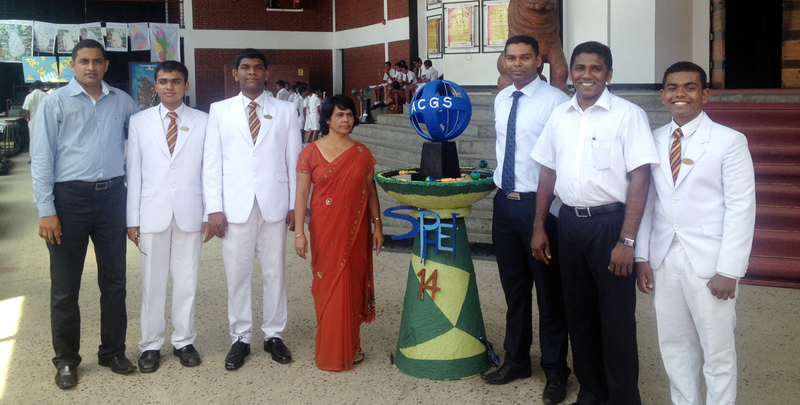 The Geography Club of Ananda College has conducted the “Geography Day 2014” on the 23rd of October. This event was a result of a considerable effort by the current students who are working on the geography club and the teacher in charge of the subject. They were working on this for months and conducted an inter-school competition to help popularise the subject. The Old Anandians’ Group of 99 is proud to have helped them with the cost of certificates, trophies and medals used during the event. We donated a sum of Rs.25,000/= to the club to cover part of the cost of the event and visited the elaborately organised event. We wish them best of luck with the studies and thank them for the great work that puts Ananda in the centre of schools around Colombo as well as other parts of the country.